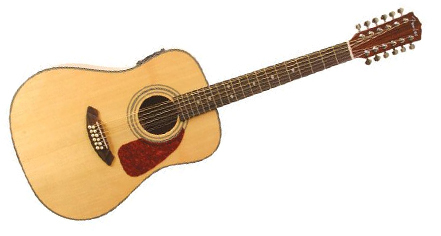 There are several types of acoustic guitars. The most common are the Dreadnought, Classical and Parlor guitars. Below you will find a brief description of each of these guitar types. 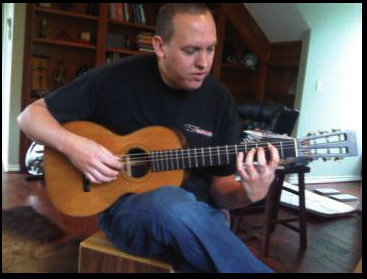 While the dreadnought appears in many variations, this is the guitar that comes to mind when most people think “guitar.” Sometimes called a western guitar it is commonly confused with the classical guitar. It’s most notable difference from the classical is that the dreadnought’s strings are all steal, it has a full sound with and a lot of bass. Different styles of dreadnought guitars include the standard dreadnought constructed of a full range of guitar tone woods from common ones like mahogany and spruce, to woods that are rather exotic like Brazilian rosewood, lacewood or jacaranda. Some guitars don’t use wood at all. Instead, they are constructed of composite materials like carbon fiber. Using different materials in the construction of a guitar will contribute dramatically to the sound of the instrument. Another style of dreadnaught guitar is a cutaway to allow access to the highest frets. The cutaway’s effect on the guitar’s sound is a subject for debate but, the reality is that, if you want to play those frets, you have to be able to reach them. The assumption is that there is a loss of bass response due to the decrease in internal volume. Again, a well made guitar will sound great anyway. As a rule most cutaways have a built in pickup allowing the guitar to be amplified without the aid of a microphone. Jumbo Guitars are designed to be loud and full of bass. It’s basically similar in function and usage to the dreadnaught. They’re great guitars if well made. In some situations, the mid frequencies get lost, overpowered by the bass. Be aware of this if you are shopping for one and listen objectively in different sized rooms. 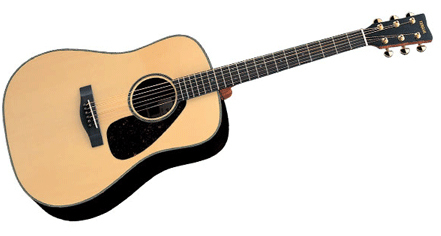 The 12 string guitar is similar in construction and styling to a six string guitar. Although it has 12 strings rather than the usual six, the strings work in pairs tuned to the same notes; the first two pairs are tuned to exactly the same pitch while rest are tuned to the same notes one octave apart. This means that, although the 12 string has a fuller, richer sound, the notes and chord shapes are the same as the standard six string. The additional string tension makes this guitar somewhat less than ideal for beginners. It’s a great strumming guitar, but note bending is quit a challenge. 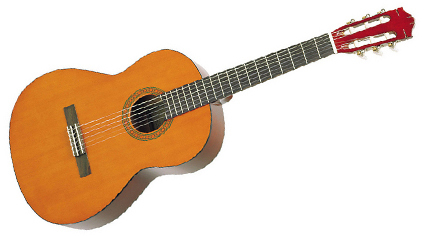 Classical guitars are characterized by the use of nylon (in the old days, cat gut) strings. Typically, these instruments have a wide neck and a very flat fingerboard. Some “old school” instructors feel that this is the only guitar a beginning guitarists should consider as the lighter string tension and greater string gauge are easy on the fingers. The term “parlor guitar” dates back to the days before recorded music, entertainment was conducted live and often in the parlors of those who were lucky enough to have them. Today, the term describes a size and style of guitar. Parlor guitars have smaller bodies than dreadnaughts and often are smaller than even classical guitars. Contrary to popular assumption, their reduced size isn’t intended to accommodate smaller players but, rather to provide for a more even frequency response. In other words, bass, treble and all of the frequencies in between are the same volume. In an acoustically near perfect environment like a “parlor” or concert hall, this even frequency response is a must if the music isn’t to be overwhelmed with bass. 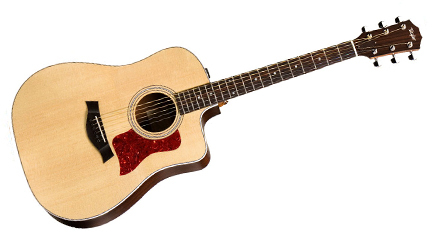 Often (in fact, usually), the neck of a parlor guitar is wider than that of a dreadnaught. 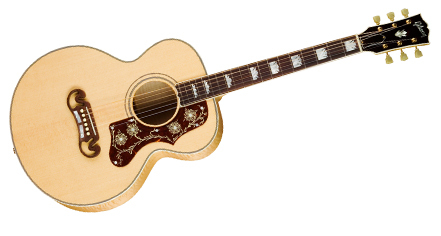 Parlor guitars are often the choice of fingerstyle players. The wider neck better accommodates this style of player giving him/her more room to get individual fingers between the strings.